"May those who love you prosper! 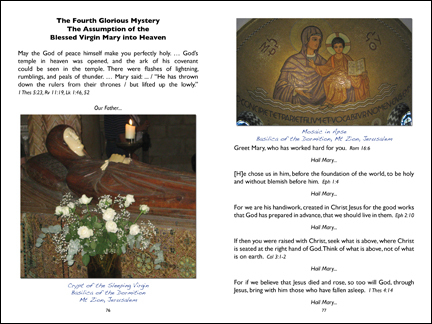 6" by 9" In her ninth Scriptural prayer book, Christine Haapala reveals another view of the mysteries of the Most Holy Rosary through meditations from the Gospels and the Epistles of St. Paul. 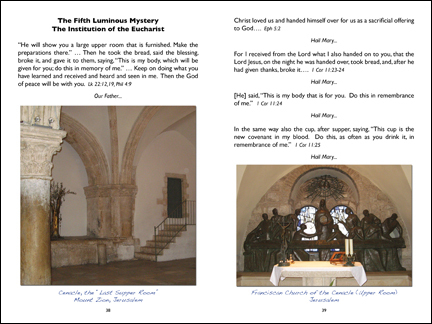 This book is enriched by the stunning photography of Rev. 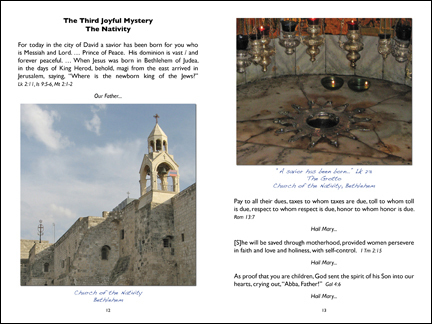 Gary Coulter, Diocese of Lincoln, who led two pilgrimages to the Holy Land and documented these spirit-filled journeys through photography. 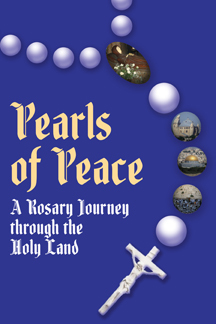 Spiritually walk in Jesus' footsteps by praying the mysteries of the Most Holy Rosary and meditating on the accompanying Holy Land photography. 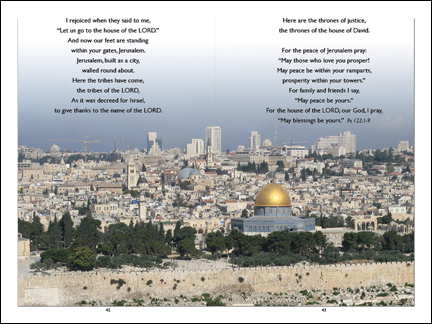 Follow the Holy Family from Bethlehem to Nazareth to Jerusalem. Walk with Jesus, his Blessed Mother, and his disciples to places, such as, Cana, the Sea of Galilee, Mount of Temptation, Mount Tabor. 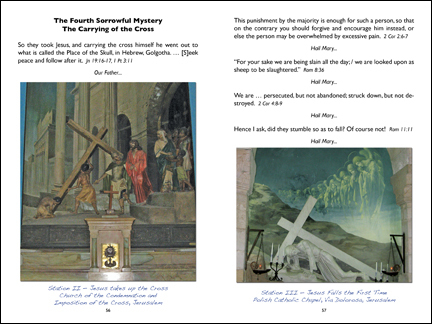 Pray along the the Way beginning with the Garden of Gethsemane, climbing the Via Dolorosa, and standing at the foot of the cross on Calvary.